At Capital Deck & Stair, we offer cost-effective, low maintenance solutions for waterproofing. Our waterproofing applications can provide an upgrade that preserves your property and dramatically increases its value. We deliver durable, high-quality results that are always backed by a guarantee. Why Call Us for Deck Waterproofing & Stair Coating? We have multiple crews of certified installers, which means that we are available to provide service over the weekends and after regular business hours. 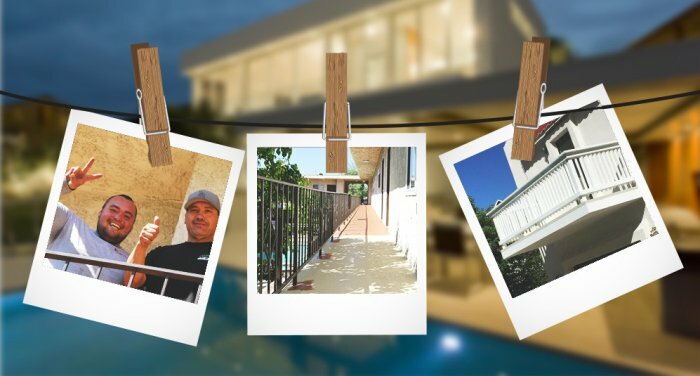 Our waterproofing specialists in Los Angeles can work around your schedule to provide custom, sleek coating to your home or rental property. No matter the project or time of day, keeping the job site clean throughout the process is a priority, and we will leave your property with pristine results. Request your FREE estimate online, or call us at (818) 697-6334. All calls are answered by one of our owners. Backed by more than three decades of warrantied results and service, our licensed professionals handle a wide range of projects for homeowners, building owners, and property managers across Southern California. Our certified experts can even come to your door to provide a free estimate on your deck coating or stair waterproofing project. Don’t wait. Find out how our seasoned, family-run company can deliver courteous service, quality results for your property. Call (818) 697-6334 or request your FREE estimate online today! Should I Waterproof My Deck Myself or Hire Professionals?